Few games drive as much breathless fever as Fallout 4, the game that everyone assumes Bethesda Game Studios is currently making. And few games have driven people so crazy. Maybe it’s because people fell in love with the tone and scale of Bethesda’s excellent Fallout 3 and their follow-up, the instant-classic Skyrim. Maybe it’s because Bethesda has been so quiet about their plans for the fourth Fallout, only hinting and teasing at a follow-up in press interviews over the past three years. Maybe it’s because we’re all desperate for a big, grand, post-apocalyptic RPG to play on our current-gen consoles. Probably it’s all of the above. 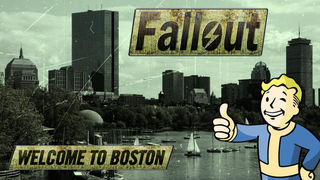 This Fallout 4 fever is legit, though, and it’s extended well beyond garbage fake websites. Today, for example, the world freaked out not over some big trailer leak or special announcement, but because someone put the words “Fallout 4” in their Linkedin profile. No joke. All sorts of reputable gaming websites ranging from IGN to PCGamer rushed to report this news—that some poor, hopefully-not-fired artist at the Guillermo del Toro-helmed Mirada Studios had listed “Fallout 4 cinematic trailer” on their public Linkedin—because the world is just that desperate for morsels of information on this game. What we do know, outside of Linkedin creeping and speculation, is that Fallout 4 is most likely real, and chances are high it’ll be revealed next month at Bethesda’s big E3 press conference on Sunday, June 14. At this point the only question is whether the world can last that long.